for $138,500 with 3 bedrooms and 1 full bath, 1 half bath. This home was built in 1900 on a lot size of 0.1377. 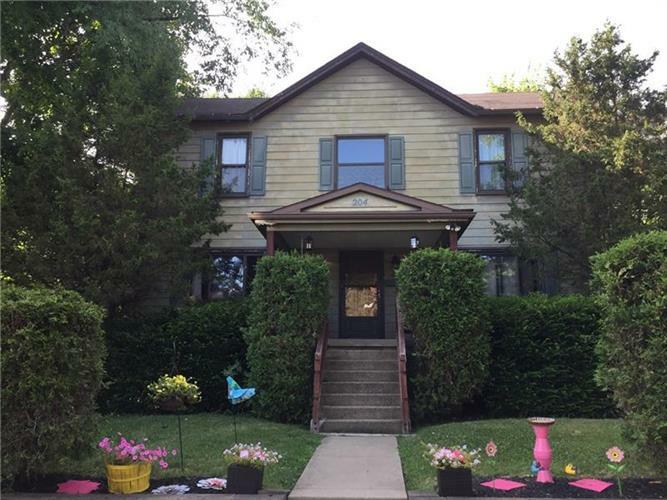 SPACIOUS TWO STORY FRAME COLONIAL WITH COVERED FRONT PORCH & GREAT CURB APPEAL! INVITING ENTRY, LARGE LIVING ROOM WITH WOODEN PANELING, FORMAL DINING ROOM WITH WAINSCOTING & PASS THROUGH TO FULLY EQUIPPED KITCHEN WITH LOTS OF CABINETS AND COUNTER SPACE. FIRST FLOOR DEN WITH BUILT-INS AND GAS FIREPLACE & CONVENIENT FIRST FLOOR HALF BATH. LARGE HALLWAY ON 2ND FLOOR LEADS TO THREE SPACIOUS BEDROOMS, GOOD CLOSET SPACE & FULL BATHROOM WITH USEFUL VANITY AREA. LARGE COVERED REAR PORCH OVERLOOKS FENCED IN REAR YARD WITH GAZEBO AREA AND TWO CAR DETACHED GARAGE. GREAT PROXIMITY TO AIRPORT, DOWNTOWN PITTSBURGH, TRANSPORTATION, MAIN STREET SHOPS AND MORE! EXPERIENCE THE DESIRABLE CARNEGIE VIBE FIRSTHAND!